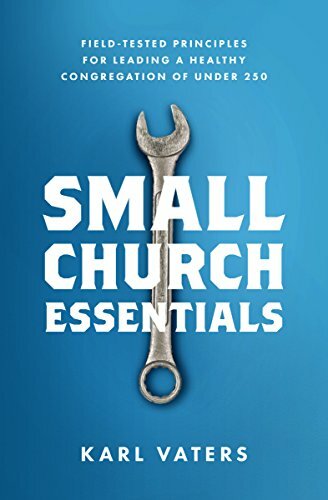 Small churches can use our personal touch to help new believers grow in the way that suits them best. My church doesn’t use a discipleship curriculum. Instead, as I wrote about in my previous two posts, we mentor people. Those posts were about helping believers become leaders. But what do we do before that? Mentoring works for new believers, too. You don’t need an expensive, staff-heavy curriculum to do great follow-up with new believers. If your're not happy with your small church's discipleship program (or it may not even exist), I have some good news. You don’t need an expensive, staff-heavy curriculum to do great follow-up with new believers. And it doesn’t need to kill your already-over-busy schedule either. After a few hit-and-miss attempts, our church has discovered a simple five-step process that can work for any small church. And it looks suspiciously similar to what Jesus, Paul and many other early church leaders did. Pastors of big churches can’t do this. That’s not a slam on them, it’s just the way it is. But it does point out one of the advantages of pastoring a small church – the personal touch. I recently met with a new believer who had no Bible knowledge whatsoever. After a short interview, I determined that the best way for him to start growing in his newfound faith was to read the Gospel of John. I told him to start by reading one chapter a day, then chew on it. If he wanted to re-read the same chapter the next day, do that until he was ready to move to the following chapter. I smiled. He was getting it. God’s Word was doing its work. Since then, he and I catch up regularly. He read through Acts the same way. Now he’s moving slowly through Romans. I answer questions when he needs help. I’ve never met anyone else for whom I’d recommend that style of discipleship. But it’s the best way for him, for now. People learn and grow in different ways. Let’s use the personal touch that we get from being in a small church to help people in the way that suits them best.